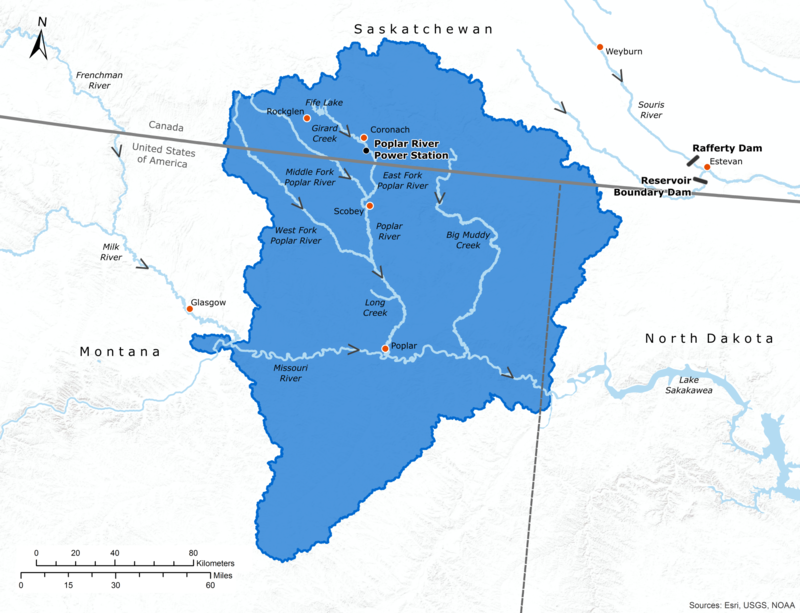 Rising in the province of Saskatchewan and flowing 269 km (167 miles) into the state of Montana as a tributary to the Missouri River, the Poplar River has been subject to IJC references and Orders historically, though there are none at the moment. The apportionment of water from the river is overseen by the Poplar River Bilateral Monitoring Committee, formed by governments following a recommendation by the IJC. The committee also monitors water quality objectives for the river.